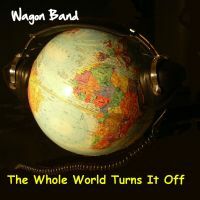 August 17, 2015: Wagon Band's brand new 10-track 6th studio album officially released worldwide! 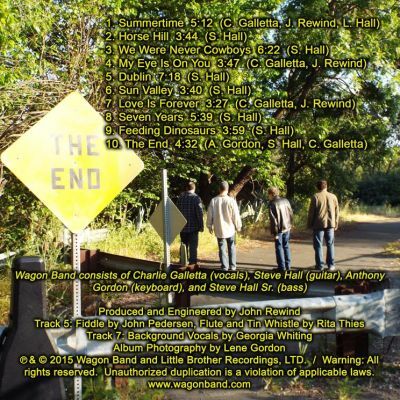 Wagon Band is happy to announce the official release of our brand new 6th studio album entitled "The End" on August 17, 2015. The brand new album contains ten songs written during the period of 2011-2015. The official cover art for the new album can now be viewed at the top. The left side image shows the front cover and the right side image shows the back cover which is part of the physical CD release. The back cover contains information about album songwriting, track length, and production credits. Below, Wagon Band members Charlie Galletta, Anthony Gordon, and Steve A. Hall share some insights into the ten album tracks on "The End". Charlie - "An all-around uplifting, feel-good song with a mid-section to get people moving. Within the song, I make reference to 3 of my favorite albums. They are Spring Session M by Missing Persons, Larger Than Life by Jody Watley, and Heaven On Earth by Belinda Carlisle." Anthony - "This song is a simple, catchy, sing-along-while-you're-riding-down-the-road-on-a-road-trip song. It makes no pretense of being a worthy lyrical or musical contribution. It's just a fun rock song." Steve - "The moment that Charlie wrote this song three years ago, I knew it was meant to be a lead-off single. It's just a great commercial song and a perfect way to start the album to let the world know we are back after a seven year absence." Charlie - "The pronounced keyboard accompaniment brings a classic feel to this song." Steve - "This is the only song on the album which has actually been released by us before. We recorded it four years ago and put it out on iTunes as a standalone single. However, we never put it on an album and I wanted to record an improved version. So we went back into the studio, started it from scratch, revised some lyrics, added some guitar solo parts, and now I feel that we have a much more definitive version." Charlie - "An album highlight that brings variety and encompasses a western feel. 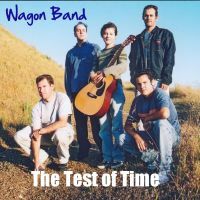 A true Wagon Band delight. The guitar work equals the entertaining story." Anthony - "One of the best songs on the album. The lyrics can come across as a simple western, cowboy song. But the words are filled with greater meaning. The lyrics apply to us as a band, but they also apply in a more general way to each of us as individuals, and -- no doubt -- to everyone." Steve - "My sister Annie pushed me to finish writing this song. Thus, I took a concept and song title and turned it into an actual song during a plane flight to Hawaii. Those who have heard the song have said that it is one of the best songs which I have ever written. And, really, that's the elusive dream that songwriters are always chasing -- writing their best lifetime song." Charlie - "I wrote a play on words for the chorus. Rewind's production makes this song very strong." Anthony - "Perhaps the most radio-friendly song on the album. 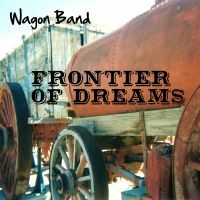 It's simple, catchy, and it has an electronica sound which adds to the eclectic mix of sounds in the repertoire of Wagonband." Steve - "This song has so much energy to it. 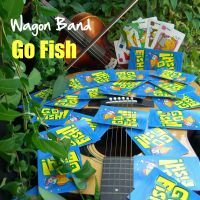 It fits perfectly into the album as track four and has what I consider to be the best bass line ever heard in a Wagon Band song. I consider this to be a mixture of pop, techno, and psychedelia." Charlie - "Excellent instrumentation makes this song true to it's title. Listening to it takes you to another place. A unique song that worked out excellent." Anthony - "It's a pretty song that brings back memories of Ireland. The lyrics are very varied, and they give the listener a verbal tour of this beautiful island." Steve - "I wrote the original draft lyrics to this song on a plane flight from Dublin to Athens last summer. In my mind, I could already hear the finished product as I wrote it. And it turned out better than I could have imagined with the beautiful sound of the Irish instruments. This is my personal favorite track on the album because Ireland means so much to me." Charlie - "A down to earth good ol' country tune. Love it!" Anthony - "This song, in a way, is a culmination of the "family" series of songs ("Go Fish", "Won't Be Far Behind", etc.). The lyrics help the listener to see themselves doing the things described in the song." Steve - "When I wrote the music to the track "The End", I had some leftover music which was beautiful but just didn't fit into that song. That became the framework for this song, which I wrote about my early childhood growing up on 5th Avenue in San Rafael, California." Charlie - "I used 3 song titles from our 1st 3 albums to form the chorus (Cry on me 1st album, the Test of time 2nd album and Don't Be Down 3rd album). Fitting, I thought, for this album. I wanted the message of Love Is Forever to be strong and so I make reference to 2 scriptures." Anthony - "In this song, the listener hears the phrases "Don't Be Down", "The Test of Time", and "Cry On Me" -- some of Wagonband's greatest hits. This song is an homage to all of those hits. This song complements "The End". This song is a trip down Wagonband memory lane." Steve - "Charlie and Anthony gave away spoilers to reveal the surprises found within the song, so I'll talk about the music. The chords are simply awesome and we considered opening the album with this song. Definitely one of my favorite album tracks." Charlie - "Beautiful. Encompasses what many men can say to their own wife. Nice light guitar work." Anthony - "A straight-ahead love song dedicated to the woman who has been the songwriter's wife of seven years. In the song, the songwriter expresses appreciation for his wife's loyalty, supportiveness and beauty." Steve - "This is Daria's 7th year anniversary song. I wrote and recorded it secretly over the course of many months with the help of band members. Then, I surprised her with the song on the exact day of our 7th year anniversary." Charlie - "This song is catchy to me. I sang it wrong at first. But with Steve's coaching I got it right and it's very catchy." Anthony - "This is a song is about the songwriter's own son, so it takes on a special significance. This straight-ahead rock song is sweet and playful without being overly sentimental or sounding like a children's song." Steve - "Did you really think I could possibly release a new Wagon Band album and not include a song about some of the special moments that I've enjoyed while watching my dear son grow up during the past three years?" Charlie - "The musical variations through this song keep you entertained throughout this song. It's beautiful in my opinion. The words are poetic but true to life . The combination of the very diverse lyrics and melody and music created a beautiful song that I'll never get tired of listening to. The ending has a nice blend of bass, guitar and keyboards." 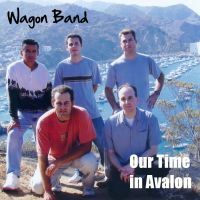 Anthony - "An epic, bittersweet salute to Wagonband and the years its members spent together creating music. This song is poetic without seeming out of place in a rock song. It encapsulates all of the band members' memories and history in an enjoyable song." 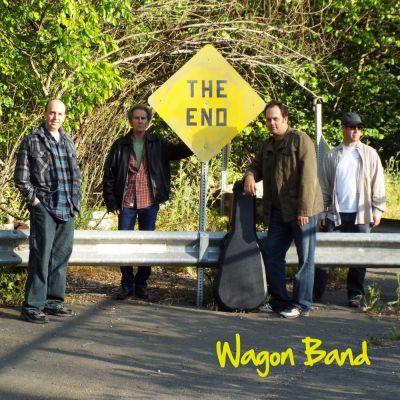 Steve - "If this is really the end for Wagon Band, then we ended on a high note with one of our best-ever songs. Writing the music for this song was an incredibly tough task that continued deep into the recording of the track in the studio. But we did it. We got it just right." 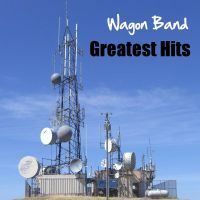 All lyrics, titles, storylines, MP3s, and songs are copyrights of Wagon Band and Little Brother Recordings LTD.